It is no secret that for ensuring that your vehicle runs at its best, regular maintenance is essential. 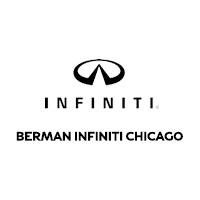 Consider BERMAN INFINITI CHICAGO for any maintenance issues with your vehicle Whether you are looking for a routine checkup or more comprehensive repair work, our Chicago INFINITI service department is equipped to handle anything. Our technicians have a great reputation for doing timely and quality job with regards to your sedan or SUV. They use the latest equipment and tools to ensure that your vehicle is back on the road in a good shape. Visit our INFINITI service and repair department in Chicago or you can schedule an appointment online. Our staff will guide you at every step. We will be glad to assist you at our INFINITI service department in Chicago.